My friend Terry Trimble just sent me a link to Active People‘s (from Switzerland) new toy, the [YO]2 Delta. The Delta is a yo-yo top hybrid. From the video, it appears to be a very well balanced yo-yo, but for some reason they did put a groove on the top tip, which would have provided for a better blend of yo-yoing and top tricks, but whatever. 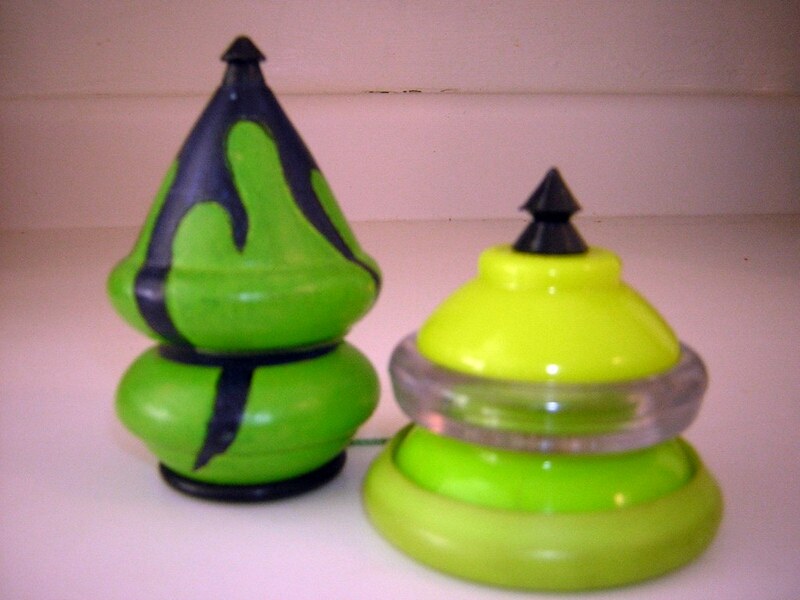 Obviously the shape is a little similar to the old yo-yo tops I used to put together. I should also mention that Active People have a complete yo-yo line. See if you can identify where each of there yo-yos got their shape from. For anyone intersted, LetsHaveFun.biz has the full line of Active People toys (as well as carrying Vulto’s Yo-yos). Next post: Bizarre yo-yo listings on eBay from China.